Today I'd like to share a special post about baby shows at Yosemite National Park during the first half of the 20th Century. In this guest post by Mary Klann (exclusive for Beyond Buckskin), we learn how Baby Contests in the past were used simultaneously as assimilation and preservation techniques. On the one hand, the US government issued campaigns to ensure children were being raised 'properly' according to popular American concepts of hygiene. 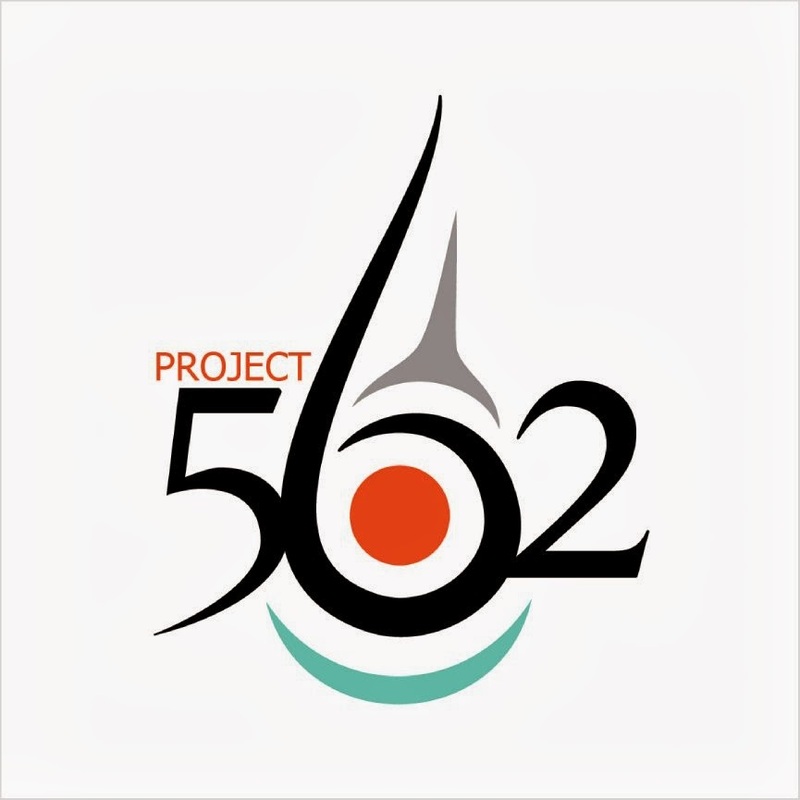 On the other hand, Native mothers used these events as opportunities to continue artistic practices and perpetuate cultural ideas associated with valuing children in the community. Interestingly, the cradleboard would take center stage as an item that could disqualify a baby in one contest, or send him home with a big first place prize in another. 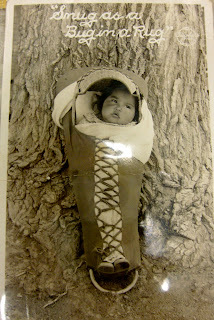 Throughout the early twentieth century, the image of the Native baby in the cradleboard was especially popular among tourists in the American West. From 1916-1929, National Park Service officials at Yosemite National Park capitalized on tourist expectations by paying Miwok, Paiute, and other Native people from Yosemite and the surrounding areas to participate in the Indian Field Days, an annual event designed to attract tourists to the park. 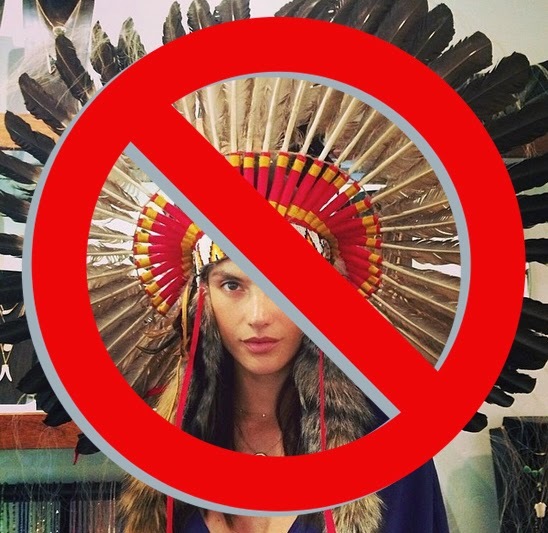 Native men, women, and children were paid to dress according to tourist expectations, sell baskets and beadwork, and compete in races, games, and baby shows. Native people were a major tourist draw to the park, as shown by postcards like the one above. The baby show was one of the most popular aspects of the Field Days. This baby show was not like contemporary baby beauty contests. Rather, baby shows were used as part of the U.S. Children’s Bureau’s “baby-saving” campaigns to combat infant and maternal mortality. Babies were judged according height, weight, and cleanliness. Significantly, the female reformers who organized baby shows used the contests in attempts to assimilate immigrant women, women of color, and Native women into American society. For example, on Indian reservations children who where raised in cradleboards were barred from participating in baby shows. 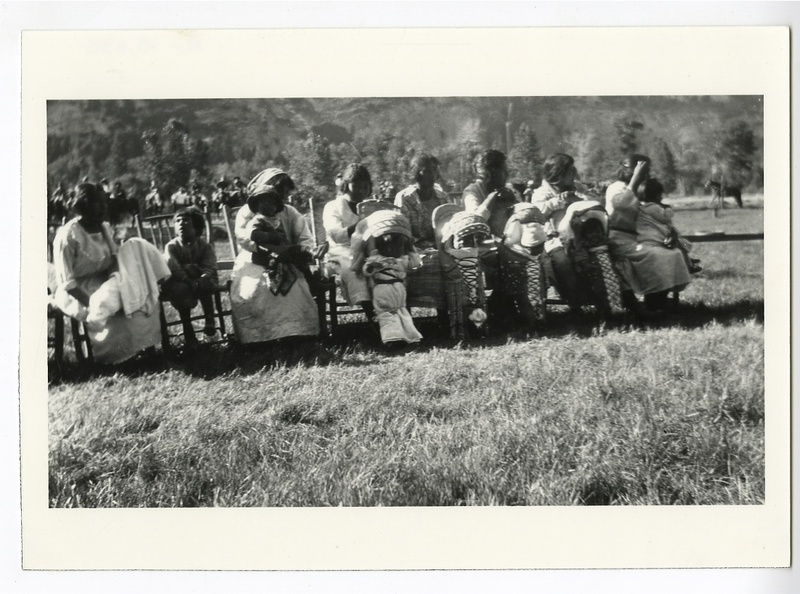 The baby show at the Indian Field Days differed greatly from those on reservations because babies were judged inside their cradleboards. In an oral history interview, Elma Blaver remembered the success of one Yosemite resident, Tina Charlie, in the production of baby baskets. “So she would enter her little babies in these baskets and I think she won quite a few with this contest. Baby contest I guess you’d call it. It was really a basket contest. They were so elaborately done.” Blaver’s recollection underscores the importance of the cradleboard itself in the evaluation of these babies. Though Yosemite babies were also judged on overall health, weight, and cleanliness by representatives from the Bureau of Child Hygiene, the importance of the craftsmanship of their cradleboards reveals that Yosemite’s baby show occupied a unique place within the baby-saving rhetoric of the time period. In the context of the national park, Native mothering practices were a tourist attraction. 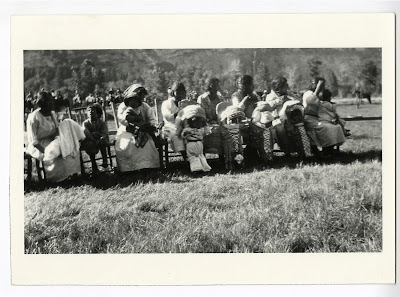 Unlike baby shows on reservations, mothers at the Field Days were paid $2.00 each to enter their children into the baby shows, and could win as much as $50.00 if their child placed in the competition. In addition, women were able to show off their innovative techniques and artistry in the creation of their cradleboards. The display of the cradleboard was as important as the baby itself, and in this way, Native women’s mothering and basketry skills were celebrated. Moreover, showing off their babies among their families and extended networks was also a great source of maternal pride. Childbirth and maternity were (and are) celebrated elements that held significance and power in Native communities. 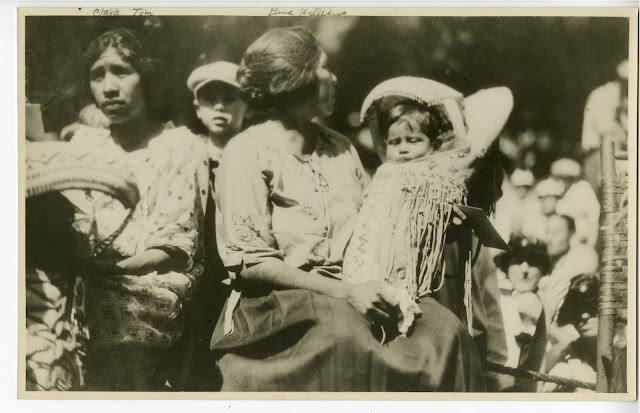 Therefore, by participating in the baby shows at the Field Days, Native women were not solely exploited for tourist entertainment or conforming to assimilation policies, but were able to benefit economically and to showcase and honor their artistic achievements, their cradleboards, and their beautiful babies. Mary Klann is a PhD student in U.S. History at University of California, San Diego. She focuses on tourism, gender, and Native people in the early 20th century American West. 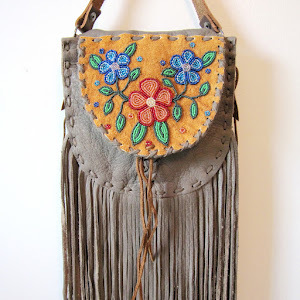 She is a big fan of Beyond Buckskin. All images courtesy of the Craig Bates Collection, Yosemite National Park Archives and Research Library. Data on your picture entitled "Indian Baby Show"
Note: Picture is Harold Williams (Infant) who won a baby contest, and his mother, in 1926. Ancestry records show the mother to be Emma Malory Williams. During the mid 1920s the Park Service Superintendent got an idea to create an Indian Days in Yosemite to attract more tourists to the Park and offer them some entertainment. Yosemite Park Service sent out flyers and word of mouth to Indians on both sides of the Sierra. Local area Indians dressed in "Indian costume" they would be paid 2 dollars, up to 5 dollars for two days of performing. Many of the Paiute men declined to entertain the white tourists in costume. The Park Service even went so far as to travel to Mono County and ask the Paiute women to compete in a basket making contests. Yosemite officials and merchants introduced "Indian field days," ostensibly intended to reinvigorate Indian arts, presumably including fine Paiute basketry. The field days quickly degenerated into stereotypical presentations of Plains Indians.